Earlier today the United States Patent and Trademark Office (USPTO) sent a memo to the Examining Corps with information and instructions relating to the recent ruling in Enfish, LLC v. Microsoft Corp. by the United States Court of Appeals by the Federal Circuit. In Enfish the Federal Circuit ruled that the software patent claims at issue were not abstract and were patent eligible. The memo, authored by Robert Bahr, who is Deputy Commissioner for Patent Examination Policy, accurately explains the importance of the Federal Circuit ruling in Enfish. Bahr tells examiners that based on the Federal Circuit ruling they “may determine that a claim direct to improvements in computer-related technology is not direct to an abstract idea under Step 2A of the subject matter eligibility examination guidelines (and is thus patent eligible), without the need to analyze the additional elements under Step 2B.” (emphasis in the original) Bahr goes on to tell examiners that a claim that is “directed to an improvement to computer-related technology (e.g., computer functionality) is likely not similar to claims that have been previously identified as abstract by the courts.” This is significant because the Federal Circuit explained that since the Supreme Court has never defined the term “abstract idea” the best one can do is compare claims to previous scenarios that have been decided to be either patent eligible or patent ineligible. Thus, the way to determine whether any particular claim is patent eligible is to subjectively determine whether the claim you are considering is more like a claim that has been previously determined to be abstract or it is more like a claim that has previously been determined not to be abstract. It is also noteworthy that previously in the memo Bahr specifically cautioned examiners “against describing a claim at a high level of abstraction untethered from the language for the claim when determining the focus of the claimed invention.” If nothing comes from this memo other than a modicum of revision in how examiners characterize the abstraction they claim they see the memo will lead to an increase in the allowance rate. Not being naive, I’m not going to hold my breath, but I am hopeful. While the Enfish decision and this memo should be helpful in many respects to patent applicants seeking patent claims on computer related innovations, I unfortunately expect many recalcitrant examiners will simply choose to ignore the Enfish decision and selectively read this memo in extraordinarily strained ways. I have no doubt that the senior level career managers at the Patent Office would like patent examiners to issue patents when they are deserved, but it seems that there are many examiners in the software technology space that simply do not issue patents and seek any excuse to deny applicants. For the examiners I doubt this memo will have any impact. I hope I’m wrong, but we have seen this play out many times before, getting excited by positive pro-patent instructions by management to examiners only to see little, or nothing, actually change. Early in the memo Bahr explains, as does the Federal Circuit, that an improvement will likely mean that the claim is patent eligible, but then unfortunately concludes only that an improvement “can demonstrate” that the claim is not the same as “previously identified abstract ideas.” I expect examiners to focus on second part of the memo (which sound permissive) rather than the earlier part of the memo (which sounds more mandatory). I also expect they will point to the TLI Communications decision as meaning that the Enfish decision was nothing more than a blip on the radar in the same way that DDR Holdings was a blip on the radar screen. We will have to wait and see. There will be many more battles to be fought and many more chapters to be written before the Federal Circuit and Supreme Court comes to the undeniable realization that we have a completely subjective test that is intentionally biased to find that software patent claims are patent ineligible. There are currently 45 Comments comments. Spot on, Gene. I still don’t understand why it is permissible for Judges to decide 101 issues on motions to dismiss. Doesn’t the analysis – by its very nature – require some claim interpretation and claim construction? Also, shouldn’t a 101 decision be in the context of one of ordinary skill in the art as to whether something is abstract vs. a lay Judge making a determination based on a cursory, subjective understanding? Seems like the only solution is to beef up specifications, which means increased costs and decreased number of patents filed. The CAFC is in obvious error because the judges seem unable to distinguish between improving the computer system functionality and improving the functionality of a user program. The judges have just misinterpreted Alice to revive In re Lowry which was essentially overruled by Alice and Cybersource. Data table management is a concept that goes back to ancient Babylonia, and whether using standard Codd tables or using Enfish tables, the problem is effectively computable and can therefore be done on pencil-and-paper without the use of a computer. Adding time sliced multitasking to create a multi-user time sharing system improves the computer system whether the improvement is implemented in software (as in Linux) or in hardware as IBM was often wont to do. In either case some of the claims would almost certainly include limitations of specialized data structures. Adding a computer and program (Diehr) to a statutory rubber-molding system improves the rubber molding system. Thus Diehr’s claims were patent-eligible. Enfish improved one component of a non-statutory system akin to the combination that Blair claimed and that was the subject of Rubber-Tip Pencil Company v. Howard 87 U.S. 498 (1874). In neither Enfish nor in Rubber-Tip Pencil is there synthetic knowledge to which a claim can be directed although one could argue that the Enfish data table represents 101-ineligible synthetic knowledge that improves the data base management program but not the computer system as a whole. Sometimes computer programs transform a computer system to create a statutory device. Yet a CRM claim relative to haproxy would be just as valid as an equivalent device claim relative to the netscalar because the haproxy software transforms the user application Linux PC device into a network infrastructural device equivalent to the statutory custom turnkey netscaler device. To me the memo reads “stay the course”. Don’t expect to persuade any 3600 examiners based on Enfish. Let me summarize. A claim has elements, e.g., A, B, C, etc. You say claim element A is a witch (abstract or an ancient Egyptian method, etc.). Could you BE more ridiculous? Stick to 102/103/112 and life is fine. All of these 101 arguments are akin to witch law. @3 The Enfish decision effectively overrules Cybersource. (3) Harvard or von Neumann memory architectures and associated hardware. The claims are not even directed to the execution environment. They are directed to data structures or fields of data structures used by the database program in accessing or in managing database tables. It seems to be precisely the sort of knowledge that should not be staked out by a patent claim. In sum, the self-referential table recited in the claims on appeal is a specific type of data structure designed to improve the way a computer stores and retrieves data in memory. The specification’s disparagement of conventional data structures, combined with language describing the “present invention” as including the features that make up a self-referential table, confirm that our characterization of the “invention” for purposes of the § 101 analysis has not been deceived by the “draftsman’s art.” Cf. Alice, 134 S. Ct. at 2360. In other words, we are not faced with a situation where general-purpose computer components are added post-hoc to a fundamental economic practice or mathematical equation. Rather, the claims are directed to a specific implementation of a solution to a problem in the software arts. Accordingly, we find the claims at issue are not directed to an abstract idea. How about instead of your nonsense use real patent law. Claims have elements. Use 102, 103, and 112, and drop the witch law nonsense. Your (1) evinces an arrogance and ignorance of innovation that disqualifies you from any conversation. Examining claims isn’t about some arrogant judgmental half-wit to tear the claim apart and determine if they “feel” it is worthy of a patent. Look, it is real simple. Elements 102, 103, 112, scope of enablement with some ability to invalidate claims if they are too broad and a later arising solution is non-obvious. That–my arrogant poster–is all that is needed. Your nonsense is a matter of opinion that varies with the time of day. @6: what is weird is that Hughes and Taranto are both Google appointments that know absolutely nothing about patent law or science. So, this is brain trust that Obama has put into the Fed. Cir. to re-write out patent laws. Obama is such a worm. I am sure that Obama is less trust worthy than Nixon and that is saying a lot. I don’t think Nixon would pack the Fed. Cir. with appointments from a corporation. At least not with a straight face or smirk like Obama. Nixon would have at least have felt some shame. Obama is shameless. So, the camera phone is pretty much super cutting edge in 1996. Taking an image with a phone and uploading it to a server was technically and practically beyond the comprehension of most people at that time. How times have changed. Nowadays, you take a video with your smartphone, attach keywords and upload it to Youtube, so it is pretty much conventional (and infringed a patent that is now invalid). The CAFC holds that “And the specification’s emphasis that the present invention “relates to a method for recording, communicating and administering [a] digital image” underscores that claim 17 is directed to an abstract concept.” In 1996 as in 2016 “recording, communicating and administering” a digital image is “recording, communicating and administering” of digital data (that is captured by a digital device) is a technical and physical operation. But, it is conventional now and the courts have decided that what is conventional in 2016 could not have been unconventional in 1996. This is another example how low value our patent system has become and how patent eligibility of inventions has become pretty much arbitrary. It looks like things are getting worse. Much worse. @9 Ternary: Actually, I have personal knowledge of the technology of this patent at the time the patent was filed. And what you wrote is exactly right. In fact, interestingly, at the time, people didn’t think that photos were that interesting for phones. You know why? Because of the teaching away of phones in Europe that had video. No one wanted them. Everyone thought that no one would want them on cellphones. Also, the CeBIT records would show that the first phone to do this was demonstrated publicly at the CeBIT was in 1998. Anyway, I don’t think the people Obama have even heard of hindsight reasoning much less spent anytime trying to understand it. You are exactly right that they are making a fundamental mistake in evaluating the technology from a perspective of 2016 and not 1996. Just shameful. @7 Night Rider does not seem to understand the patent claim. The patent claim is directed to a tabular database data structure whose data cells (including those in the title row) can contain a cross-reference to another row or column in the table instead of simple data. Tables with cross-references are ancient — although I will concede that they became more popular after the printing press became common in Europe. Now I suppose one might quibble that a row can be added in order dynamically to extend the table with more columns. In the past such an operation was accomplished via tabular addenda. This operation is somewhat cleaner in the context of a database program, but distribution of tabular updates via subscription has certainly been done in the past via printing and mail. I don’t understand the hostility to using epistemology to apply 101. How does doing so differ from using chemical, biological, engineering, or physics analysis in applying 102, 103, or 112? Ruling that a natural law or physical phenomenon may not be patented is based in simple albeit implicit epistemology. Patent and other areas of law use epistemology implicitly all the time. Why not use it explicitly? Epistemology is applied implicitly when a claim to a new compound or material (posterior and synthetic knowledge) is allowed, but a claim to a known compound or material (prior knowledge) is rejected. Kant discussed the issue in the 18th century. One can understand that Myriad claims were invalidated when SCOTUS determined that Myriad attempted to claim an obvious combination of purely analytic knowledge and prior synthetic knowledge. Outside of patent law analyzing issues of claim or of issue preclusion can involve epistemological and semantic analysis that are meta-legal. For example, when is an administrative finding of fact really a finding of fact? To apply epistemology in 101 analysis, one need only understand concepts of prior, posterior, analytic, and synthetic knowledge as well as effective computability (a concept developed before the advent of the electronic computer) when one must look at claims involving software. @Ternary & @Night Writer – both of you have nailed it. Which is why it baffles me as to why these 101 challenges are even allowed at the pleadings stage. At the early pleading stages, the claims don’t even have a chance of being interpreted based on an understanding of a PHOSITA at the time of filing. Please stop confusing us with facts. We’ve made up our story and we are going to stick with it. Obviously you are unfamiliar with the Myriad case. The Supreme Court found that the claims at issue are NOT found in nature but are somehow still nevertheless patent ineligible under the law of nature doctrine. No logical machinations can ever be used to make the Myriad decision make sense, period. Perhaps it’s not cricket to do a Donald Trump label hit on the CAFC (Court of Anti-progress Fantasy Chasers) without listing some of their anti-science fantasies. 2) It is beyond question that one can walk into any Silicon Valley coffee shop with an abstract “idea” in one’s head, find a java slurping 2nd year engineering student and have him (or her) make-it-so over one weekend’s time. All one must do is hand over that abstract “idea” to the geek during a 5 minute meet-and-greet session and then utter the magic words, “Apply it”. 3) No one can define abstractness. We know it when we see it. We see it. We see it all the time. A sixth sense if we need to go that far in explaining it to you science geeks. Not everyone in your readership understands chemistry. 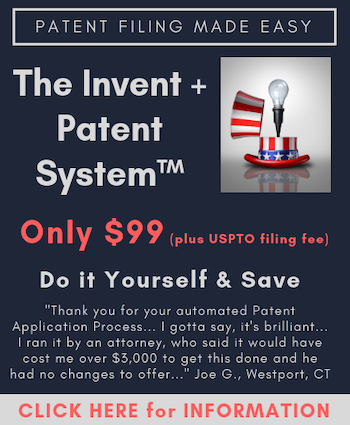 I have no doubt that the senior level career managers at the Patent Office would like patent examiners to issue patents when they are deserved, but it seems that there are many examiners in the software technology space that simply do not issue patents and seek any excuse to deny applicants. My experience has been the opposite. There are many examiners that would dearly like to allow software patents, but they are forbidden by their management. There are sharp lines of 101 allowability that cascade down through the USPTO management chain. So, 101, a paragraph written by a judge off the top of their head and providing no opportunity for evidence to the contrary. 103 –real evidence must be provided with an opportunity to refute the evidence and provide counter evidence and with the burden on the rejector to show that combining references would be obvious. 103 is law. 101 is the law from about 100 B.C. where you stood before the king and they chopped your head off because they didn’t like you. And would be much stronger and say the use of 101 is a negation of our Constitution. The use of 101 by these “judges” offends my reason, sense of law, and sense of humanity. I think there are strong arguments for disbanding the Fed. Cir. litigator Lemley (the Stanford professor that makes more money doing litigation so has an obvious conflict of interest and cannot possibly be seen as a scholar), said in a paper that software has NO structure. Richard Stern the one that authored Benson (actually he was at the DOJ but the SCOTUS adopted his reasoning almost to the letter), so it R. Stern that gave us Benson. R. Stern also wrote a paper where he advocated for 101 that you had to find a technology that existed in 1776 and then argue why your invention was like one of the ones available in 1776. No kidding. Not possible to make this stuff up. Ginsburg is perhaps the most arrogant and ignorant (both indexes) justice to have ever lived. Maybe someone can come up with the quote for Ginsburg. She said something like that the things in the computer aren’t real and can’t be inventions. It sounded like what my daughter said when she was 5 and playing Pajama Sam. @25 Remember that classical physicists created the concept of the Aether because they could not understand how something that was not material could be real. People like Ginsburg are not necessarily ignorant, but they are a century or so behind the concepts of modern physics. The PTO’s refusal to allow patent claims directed toward signals represents the same sort of silliness. One needs only superficial acquaintance with the basic quantum physics of the 20s (there have been many developments since then) to realize that everything is a superposition of signals. A simple elementary text like PAM Diracs’s 1930 text Principles of Quantum Mechanics more than clarifies the problems with the PTO position on the patent-eligibility of claims directed toward signals. If I can patent a projectile made from a new alloy, why shouldn’t I be able to patent a projectile created as a superposition of laser pulse and soliton wave forms. It should not make a difference vis-a-vis 101 eligibility whether the claim is directed to a projectile created via a superposition of signals from baryon and fermion wave forms or to a projectile created via a superposition of signals from boson wave forms. Yea! Finally a post of yours I can sign on to. Empirically and rationally, almost all concepts around computers are physical phenomena. There is a trend to do a reverse “anthropomorphism” nowadays on computers, so to speak. That is: to explain the working of a computer, concepts of the human brain, such a memory, are used. This pretends that the computer is like a brain, which it physically is not. In a naïve way the reverse is now often used where the concepts of the computer, are applied to the human brain, which is also largely incorrect. People untrained in computer science often believe that the brain and a computer are basically similar and that software is in a way similar to a human skill. It really is an analogy gone astray. It has to be corrected because it leads to ridiculous results. There are now 2 recent CAFC decisions that reach opposite conclusions. One (Enfish) determines that software for data manipulation is patent eligible and another (TLI Communications) determines that software is “administering” of data and is an abstract idea. I personally adhere to an empiricist’s approach: if there are sense data related to a claim it is physical and it is patent eligible. This requires that the claimed concepts have to be measurable or recordable physical entities and processes to generate these entities (such as signals) are patent eligible. (Hertz demonstrated e.m. waves 10 years before Thomson proved the existence of electrons, don’t claim the aether if you don’t need it). Unfortunately it will not entirely solve issues such as “stock price” and one probably has to go the EPO route on that one. But it prevents the absolutely ridiculous arguments in TLI wherein the court admits that a claim requires a camera, memory and receiving equipment, but argues it still “relates” to an abstract idea. Related to computers the CAFC/SCOTUS decisions are not in accordance with modern science and engineering (as in @26), nor do they reflect the immense importance of the computer industry and the investment that is made in IP. With every decision millions (perhaps billions) of dollars in IP is being destroyed with hindsight review and an extremely naïve interpretation of science. It is an unheard destruction of capital. There is not sufficient guidance from the statute in this and so the courts are (clearly) making all of this up on-the-fly. Ternary @28, I wish you had kept it simple and stopped with your paragraph #1 which hits the Medieval mindset right on the head. This essay, “Your empty brain” by Robert Epstein, former editor in chief of Psychology Today, directly addresses the fallacy that computers operate like brains. “But here is what we are not born with: information, data, rules, software, knowledge, lexicons, representations, algorithms, programs, models, memories, images, processors, subroutines, encoders, decoders, symbols, or buffers – design elements that allow digital computers to behave somewhat intelligently. Not only are we not born with such things, we also don’t develop them – ever. I hope everyone understand what Ginsburg’s argument is. She says that what is in the computer is imaginary like what she imagines in her brain so it is ineligible for being imaginary. About a 6 year old’s understanding of technology. The difference between a silly ignorant old woman and a despot is the despot forces you to live with her opinions. As to Lemley, consider that Lemley has opened up a “we can invalidate” anything litigation shop and then published articles with misrepresentations about how to invalidate claims. The man is not a scholar by any stretch of the imagination. It is a national crime that this man is permitted to be a professor at Stanford. Thanks for the pointer to the Epstein essay. We humans ascribe meaning to electron patterns and call some of those meanings “information”. The electrons don’t care what labels we ascribe to them. The electron processing circuits don’t care. They move nonetheless. Some of those configurations provide a utility that falls within the Useful Arts and is thus patent eligible. Some of those configurations do not – and fall with the Fine Arts and are thus not patent eligible. To take a different philosophical view (data-driven at that), one can look at everything and reduce everything to a “data” equivalent and view the entire universe as “Math.” – See Tegmark’s writing. That may be all fine and good – but the division on eligibility would still resolve on the difference between Fine Arts and Useful Arts. Step back @32: Spot on. Anon @33: I would take your point a step further and see a more rigorous enforcement of enablement. It’s easy to say, “Here’s a useful idea, let’s do it on a computer”. It’s something else entirely to actually do it. It’s not until you are actually climbing the mountain that you realize that it’s a lot harder than it looks. That’s when the real inventing takes place. The correct verbiage in order for the magic to work is “Apply it”. Deviation from that SCt. mandated language may cause a rift in the space time continuum. Also the words must be uttered with a straight face, at a Silicon Valley coffee shop and directed to a 2nd year engineering student equipped with no more than a single “generic computer”. The enablement word does not exist once one tumbles down into Alice’s rabbit hole. Just ‘apply it’. By ‘coding’ a generic computer over the weekend. You see? It’s that simple. Even King Tut’s abacus man would have known that. Mark and step – would it be “insubordinate” to point out out that enablement is a 112 item and not a 101 item? It’s a free country (especially for too big to infringe entities, TBTIEs). Insubordinate away as you please. Anon: You are reading my mind. Yes, 112 is the key issue. To beat Kasparov Deep Blue was calculating 200 million positions per second, and it is not impossible that IBM was cheating as Kasparov has charged. Do we really believe that a human chess master really calculates an order of 100 million positions per second? Modern chess programs, which have more effective algorithms, run on standard COTS hardware, calculate ~8 million positions per second, and search to to ~18 (game theoretical) plies. A human chess master seems to be doing something extremely different when he plays chess. While the analogy of the human brain and the computer fails, certain biological processes and entities do seem to have analogs in computer systems. DNA is very much a biological information storage device. The Krebs cycle and other biological process certainly seem analogous to various computer-implemented procedures. Analogies are for those who don’t know any better. If you are going to be using one or relying on an analogy, first admit that you are doing so because you lack the training and knowledge to understand the subject matter directly. You are hoping to obtain some poor man’s notion of what is going on. It’s never the actual thing. This is a first of many failings of our know-it-all SCt. justices. No. Identifying the BRCA1/2 sites is not at all like walking up to a banana tree, spotting the fruit and plucking them off. No. A computer is not like doing it in your head but only faster. And by the way each of pencil and paper is a not-naturally occurring manufacture for which new, useful and nonobvious uses can still theoretically be devised even though one may be 101% certain that all uses have already been invented. Paper may be used as a symbol storage device. Pencil may be used as a symbol creating and destroying device (even if there is no eraser head –think about that). The one thing that is certain is that there is no end to human vanity, arrogance, smugness and know-it-allness. That is epitomized in how our know-it-all justices and judges approach the information and genomic art areas. step back @40 Isn’t arguing precedent arguing analogy? And isn’t reasoning by analogy of necessity a major part of patent law? The lower threshhold of “enabling” is in direct proportion to the Supreme Court and their enabling of PHOSITA. After all, an applicant simply does not have to “enable” more than that selfsame PHOSITA, and applications were never meant to be “exacting blueprints” or engineering specifications. All that is required is that the PHOSITA need not engage in undue experimentation. I think you are mixing up concepts. “Analogous art” for purpose of a 103 obviousness rejection is something entirely different. We are talking here about SCt. Justices and lower court judges coming to understand complex subject areas such as computer technology and genetic diagnosis by way of simplistic analogies. OT a bit, but consider Debbie Wasserman Schultz. Sanders has said directly that she has a bias against his campaign with specifics of withholding access to data, organizing debates when they would not be watched (which is clearly true), and with party leaders in the state caucuses. Bernie has a very good case against her. So, this relates to patent law because I have been saying that Obama is a dirty snake that has been appointing ignorant hostile judges to the Fed. Cir. And, guess what? Obama appointed Debbie Wasserman Schultz and supports Clinton. Obama has a clear pattern of appointing people that will not follow the law or rules to further the end that Obama wants.